Blueberries are my favorite local fruit to pick. Just reach in there with your hands and massage them off their stems. If they're ready and they want to come, they will. breathtaking views of the valley here. We normally spend about 1.5 hours and manage to fill our buckets right up. My lady friend always outpicks me, though. I think it's a bit of both! But who could resist sneaking handfuls of these blue jewels? So good and so good for us. who ends up turning into a giant blueberry! What do we do with 24 pounds of blueberries??? And we'll probably go again! Maybe we'll make blueberry fruit leathers for the winter. Or press and can some blueberry juice. by Lynn Unrah at Clay Soul. So whimsical... always makes me smile. It's been a big time drought this summer. for any trickle of water that could possibly seep in. Our pond is down more than two feet. like it was only a dream. Even well established trees are looking like they're struggling not to wilt away. You can set up a rain catchment system! A rain catchment system is a way to harvest rainwater from surfaces -- generally roofs. Basically, hook up some barrels to your gutter downspouts and you'll be in business! In about a minute of a good downpour, your barrels will fill right up! During a really good downpour we wish we had dozens of barrels...! This one is already overflowing after only 90 seconds! Over the years we've managed to hook up 6 rain barrels, each holding 55 gallons. we can quickly fill up 330 gallons of rainwater for future rationing out. you'll still need to deal with those downspouts. Level it as best you can. Raise it up with your material of choice if you want bucket access at the base. Saw off your downspout higher than your rain barrel, but not too high. Insert a diverter to aim into your barrel's screened opening. to give to your thirsty plants. I can see now that I need to level this one out better! of configurations going on depending on what works best for your spot. I think they're about $10 and they're easy to find at local hardware stores. at a 90 degree angle from our downspout. It looks a little wacky, but it has worked out fine. We have found that the hose on the bottom doesn't work very well in the long-run. Sediment ends up in the bottom of the barrel, despite the filtering screen on top. We remedied the problem by cutting the lids so that they lift back. It was easy enough with a multi-tool. Now, we simply lift the lid and scoop 1-gallon buckets down in and pull up the water. It's much easier and faster that way. We love garlic. And we use lots of it in cooking. So the bottom line is we go through a whole lot of garlic in a year! This season we might have actually grown enough to get us through the year. In the fall we planted cloves from our friend Wendy's prolific gardens. Her varieties are spectacular producers, very robust, and delicious! They were all coming up like champs in this bed. so we really crammed them in there! showing their treasure troves of seed. The dogs like to help with the harvest by keeping us company. The first bed of little aromatic beauties have been drying in our wood shed for 4-5 days. the bulb will continue to be nourished for a few days until they dry up. Now it's time to cut off the dried greenery. A small kitchen knife or scissors will do just fine. We use an old tree stump as a cutting block. It'll pull out the rest of the moisture and further strengthen the bulb's storage capacity. we lay them out to dry on old window screens propped up in our garden shed. Highly improvisational, as are most things we do. Then again, she's a real farmer, and we just pretend! Our homemade chick brooder has a screen on top so the bulbs have a place there for now. The rest are just more old window screens propped up wherever we can fit them! I'm not sure why, but I do love to stare at rows of food. It does something to my psyche. Maybe I suffered famine in a past life. Maybe it reminds me that I'll be well fed! for at least 2 weeks. Then the final fun begins...! Poached eggs atop a bed of raddichio with herbs from the garden. Radicchio ﻿has a way of looking like an opening flower on a plate. And poached eggs, the beautiful center. As golden as the pollen the bees fly away with. I once was a little crazy about bumperstickers. 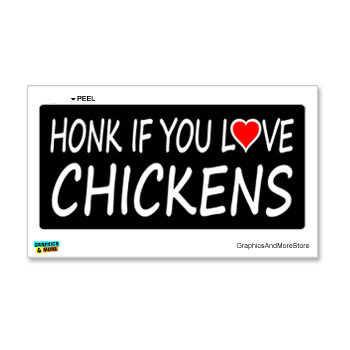 I'm trying to be bumpersticker free now, but sometimes I'm really tempted to break out. Root beer floats are probably ﻿my #1 favorite summer treat. I have been on the quest to make the perfect root beer float for my tastebuds for years. I need search no more! I found and am 100% pleased with Boylan's root beer. It has the right balance of spice and bite tempered with a luscious creaminess. Turns out I'm not alone in my love of Boylan's. in a long line up of very worthy contendors. I sampled every vanilla I could get my hands on. alas, I cannot tell a lie. In the end, nothing compares to Haagen Dazs vanilla bean. So many vanilla bean flecks. Such a deep flavor. Such a fabulous mouth feel. that's been chillin' in the freezer. Sometimes all the morning chores can get to be a drag. there's no choice but to do extensive watering every day. that comes from the depths of the earth. Without it, we'd have no harvest. I definitely feel like I am wading in the water. I have become my astrological sign. most people have no clue he said. when their natural environment does not provide optimal conditions. or any mentoring relationship with a child. the hard work in the garden also gives back. Sometimes the reward is just watching something grow. it's tangled green trellis of vines. Just look how big they're getting!!! and to our delight, we have some XL eggs!! !